Yesterday, May 20th, was the anniversary of the final episode of "Cheers," which originally aired in 1993. In the summer of 1981, NBC came to Boston in search of a bar. The network was developing a new sitcom set in a neighborhood pub, and the producers thought that Boston had just the right mix of characters for the cast — sports fanatics, earnest intellectuals, colorful politicians, and regular blue-collar guys. The team visited bars all over town, before settling on the Bull and Finch Pub on Beacon St. just across from the Public Garden. With its three steps down to a brick walled room with diamond glass windows, Tiffany lamps, and wooden benches, the Bull and Finch had just the atmosphere they were looking for. Within a few months, a replica of the Bull and Finch interior had been constructed in Hollywood. 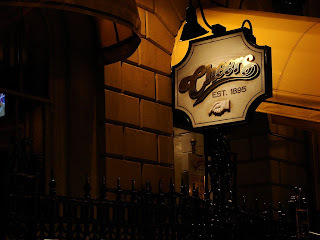 Shot mostly on Paramont's Stage 25, "Cheers" premiered in September 1982. The show was not an immediate hit; indeed, it was nearly canceled during its first season. It soon developed a strong following and was ranked in the top ten for seven seasons. Over the years, it garnered a record-breaking 111 Emmy nominations and won the award 26 times. The show featured a group of very different individuals, brought together by their shared experiences in Sam Malone's bar. Malone, played by Ted Danson, was a former Red Sox pitcher and recovering alcoholic who served up drinks and one-liners to his odd assortment of customers and employees. The regulars included a middle-aged letter carrier who still lived with his mother, a semi-professional beer drinker, a tight-laced English literature graduate working as a waitress, a slowwitted but lovable bartender, a neurotic psychiatrist, a naïve farm boy, and a hard-nosed businesswoman. "Cheers" launched the careers of a number of actors including Shelley Long, Rhea Perlman, Kelsey Grammar, Woody Harrelson, and Kirstie Alley. The show's success came not just from the comedy but from the sense of community that it conveyed. After a few years, viewers could feel as if they had stepped into a place so familiar that they, too, knew everybody's name. The affection that eventually developed among the characters gave a touch of poignancy to the sarcastic put-downs and jokes. As the show grew in popularity, so many fans made pilgrimages to the Bull and Finch that the bar changed its name to "Cheers." Since the exterior shots shown after each commercial break were filmed on location, visitors to Beacon St. had no trouble finding the spot. While alterations were made to accommodate an audience on the set, the interior of the bar also appeared familiar. "When it first became known that the Bull and Finch Pub was the inspiration for the TV show 'Cheers,'" a manager recalled, "visitors came in looking to take something home with them. They began by taking the ashtrays, the matches, the menus, and anything that wasn't tied down." The owners promptly opened a souvenir shop. The final episode of "Cheers" was a 90-minute special that brought Sam and Diane back together. After a series of deceptions and misunderstandings, the couple agreed to marry and move to California. At the last minute, Sam decides that his real life is at Cheers, and he returns to the bar. In the memorable final scene, Sam is locking up after the regulars have gone home; a customer comes to the door, but Sam turns him away, saying simply, "Sorry, we're closed." 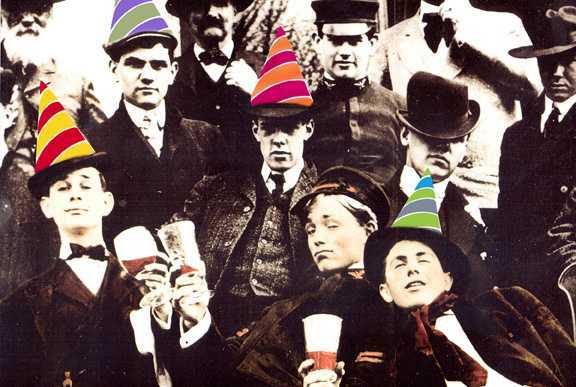 In Boston, the governor proclaimed May 20th "Cheers Day." On the steps of the State House, Governor William Weld said that the show would always have a place in Boston history. "Cheers," he teasingly told the crowd, had brought Boston "more fame than Paul Revere's ride, as much hometown pride as the Boston Red Sox and more pseudo-intellectualism, if you can believe that, than a Harvard Square cafe." The cast members arrived in eight stretch limos, escorted by police; trailed by fans and photographers, they headed to the House chamber. There Senate President William Bulger greeted them with tributes and resolutions. One member of the cast was heard to say, "I've never been resoluted or proclaimed in my life." Thank you to two Front Desk Reception superstars who have been a part of the Hampshire House Corporation for nearly 2 years. 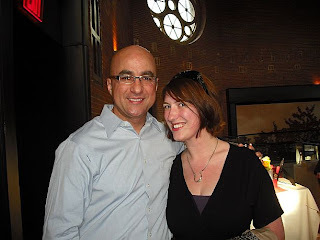 Still part of our company, Rachel has moved her talents to our Cheers Faneuil Hall location after her graduation from the Boston University School of Hospitality. 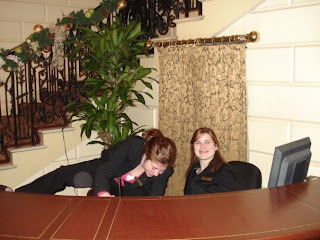 She has been with the Hampshire House Front Desk Staff for over 2 years. Molly has moved to Boston's friendly rival city, New York, to continue her education. 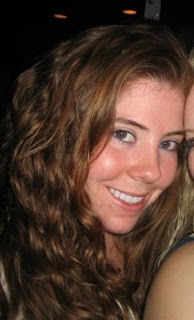 Molly has been a huge part of the Cheers Blog for the past year, and our Front Desk Team Leader since September of 2007. Thank you ladies for all your hard work as the faces of the Hampshire House! Celebrate the Belmont Stakes at 75 Chestnut! 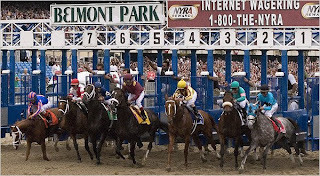 On Saturday, June 6, 75 Chestnut is hosting the exclusive 2009 Belmont Stakes Party! Gather in the Infield and take part in this exciting old tradition! Dress in your best derby hat and join us at 75 Chestnut for an evening of fun and festivity! Follow the race on our large plasma TV! Our Full Menu will be available all night. 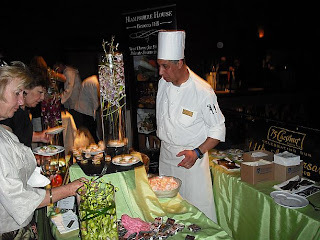 The Hampshire House, 75 Chestnut and Cheers participated in the 8th Annual Taste of Beacon Hill, held at the Liberty Hotel on Tuesday May 12th. This event is held annually by the Beacon Hill Business Association. 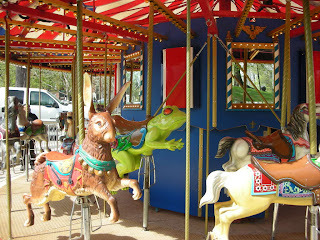 Introducing: New Carousel at the Frog Pond! 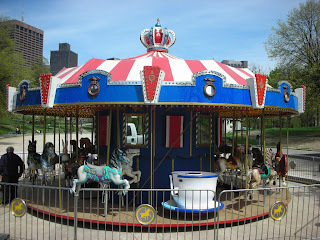 This summer, children young and old are invited to enjoy the new Carousel at the Frog Pond! 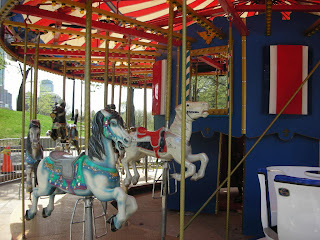 Relive fun summer memories or create new ones this season by taking a spin on the beautifully decorated carousel! Cost is $3 per ride. See you this summer at the Frog Pond!